PremiumCoding is a team of theme developers who offer their own theme club filled with over two dozen WordPress themes in a variety of different categories. They offer a mixture of free and premium themes as well as a variety of different ways to pay for premium themes. We’re going to take a look at the company’s theme collection in this review as well as analyze their overall pricing scheme. Let’s get started. PremiumCoding was founded in 2010 as a two-man operation designing, building and uploading themes to ThemeForest on the Envato Market. They launched their own theme club in 2015 and haven’t looked back since. Today, the company has over 25 WordPress themes, eight team members and over 28,500 customers. PremiumCoding focuses heavily on blog themes. All of their themes have blogging capabilities, and they even offer a dozen themes designed specifically for professional and personal blogs. Let’s take a look at a few. 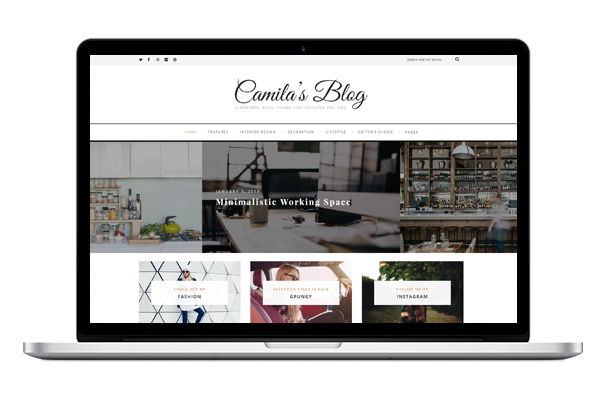 Camila is a premium blogging theme designed for creatives, but it can be used as a magazine theme for content-heavy sites. It uses a minimalist design that really places the focus on your content, especially your images. It’s a great option for bloggers who want to showcase their own images, such as travel, beauty, fashion and lifestyle bloggers. 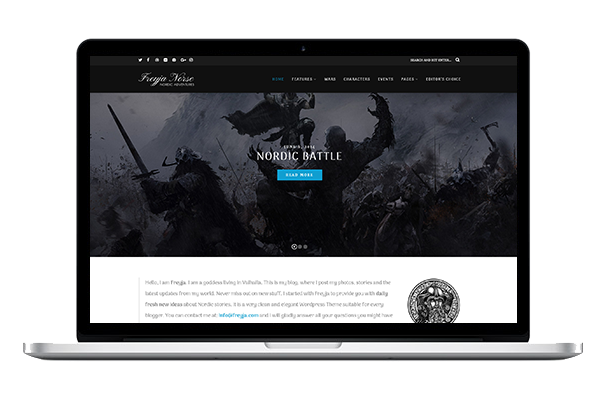 Freyja is a premium blogging theme designed for writers or book lovers, especially those who prefer the fantasy genre. It uses a Nordic style both in the color scheme it uses as well as the typography featured throughout its design. It comes with four homepage and blog page layouts and uses Google Fonts if you want to switch out the fonts it uses. 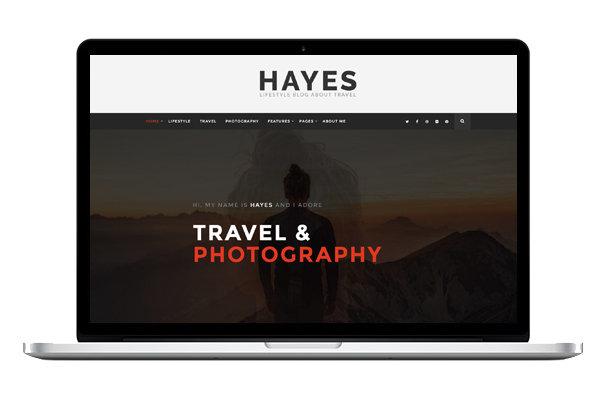 Hayes is a premium blogging theme designed for photographers and travel bloggers. It comes with multiple homepage variations and even allows you to create your own designs through the use of blocks. These blocks include Featured Posts, Upper Header, About Us, Revolution Slider and Instagram Feed. It also uses a simple, minimalist design. PremiumCoding focuses on blogging themes, but it does offer additional theme categories as well. These include, as stated earlier, portfolio themes, e-commerce themes, and business themes. It offers a great selection of portfolio themes and a few business themes as far as quantities go, but its e-commerce theme collection is a little light. This is LandScape. 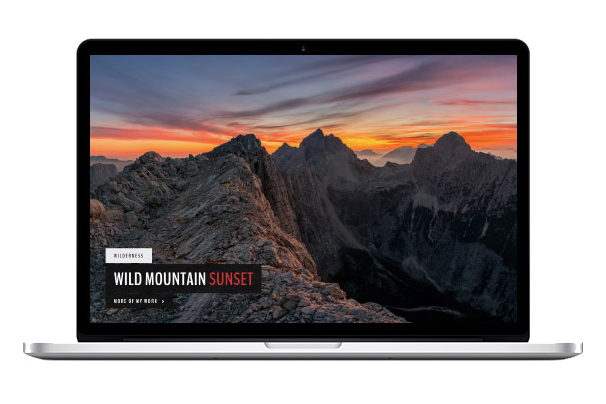 It’s technically a portfolio theme for photographers, but it has enough homepage demos and flexibility to be used as another blogging theme. It uses a minimalist design that truly makes your image stand out. Some homepage layouts even use a large header image, as you can see in the screenshot above. 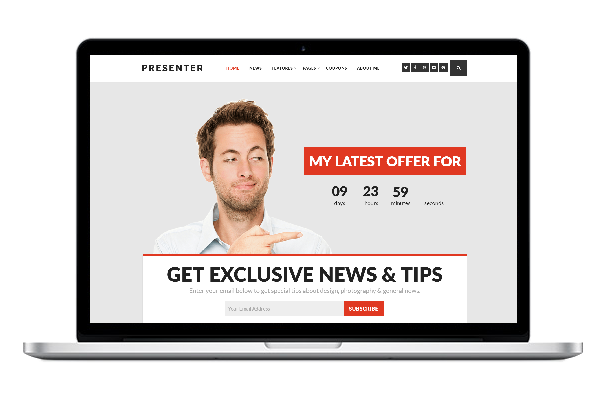 Presenter is a business theme for entrepreneurs. It uses a homepage that features a large header complete with a call to action and an email opt-in form. You can also use calls to action throughout the page as well as display customer testimonials, your latest blog posts and a slider featuring logos of the brands you work with/publications you’ve been featured in, etc. 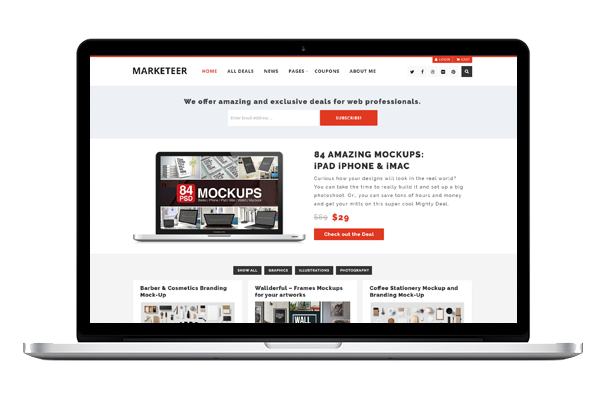 Marketeer is a special kind of e-commerce theme. It allows you to build a digital marketplace through an integration with the Easy Digital Downloads ecommerce plugin for WordPress. It has four-page layouts, and it allows you to utilize the power of content marketing by featuring separate layouts for blogs. It uses a clean design overall, giving you great way to promote your products. PremiumCoding offers several free WordPress themes, which act as “lite” versions for a few of its premium themes. These are stripped-down versions of their premium themes, but they still offer quite a bit of features. They’re more or less designed to give you a taste of their respective premium themes. 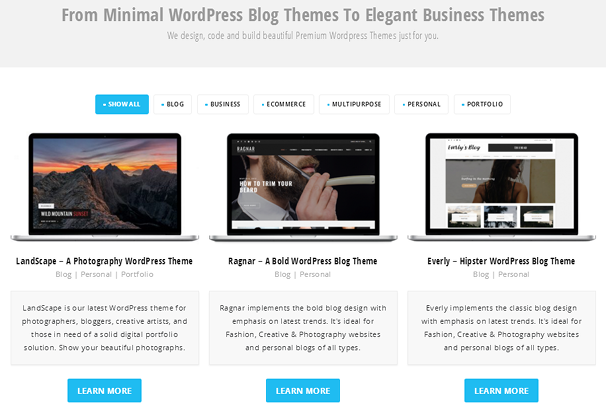 The developer offers six free themes, as of April 2016. This is Everly Lite, the free version of the premium blogging theme Everly. It will still allow you to build a full website capable of showcasing your latest posts if you’re a blogger and images if you’re a photographer. It simply excludes the ability to use the Revolution Slider and change colors. 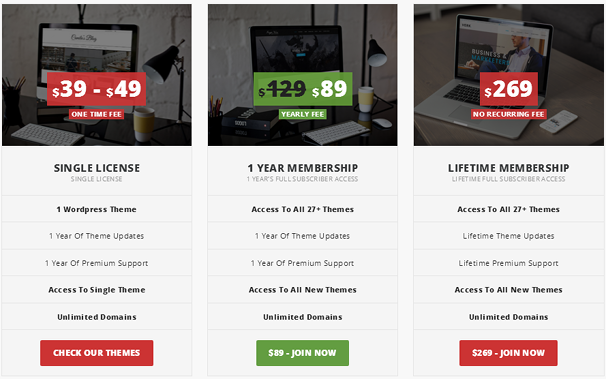 PremiumCoding is a theme club, so there are several different ways you can pay for and gain access to its themes. Aside from using a free theme, you can purchase a single theme, purchase a one-year membership license or purchase a lifetime membership license. No matter which license type you purchase, the basic benefits are more or less the same. You’ll have access to updates and support for as long as your membership is active, and you can use the theme on an unlimited number of domains. The features change depending on which license type you go with. Buying a single-theme license only gives you access to that particular theme. If you join the theme club, you’ll have access to PremiumCoding’s 27+ theme collection as well as any additional themes the developer releases throughout your time as a member (the developer releases a new theme every five to six weeks). You’ll also have access to PSD files for themes that use them. PremiumCoding is a fine theme developer that offers a decent variety of WordPress themes and plenty of themes to choose from overall. The themes are also easy to use, whether you’re a developer or a business owner/blogger who needs to design their own site. The only drawback you may experience as a developer looking for a new theme club to use as a resource for your business is the developer’s limited supply of e-commerce themes. If most of your clients need blogs, portfolios and traditional business sites, however, this developer would make a great resource for your business. Just checked out their site after reading this blog.Their entire collection of themes look neat, modern and elegant.